Pakistan will be looking to reach the final of the SAFF Suzuki Cup for the first time, having lost each of their previous three semi-finals in the competition. For India, this game will be their 11th appearance in the final four of the tournament, having progressed through to the final in each of their last six semi-final attempts. India has had a clinical performance in the tournament so far. Pitted against Sri Lanka and the Maldives in Group B, it emerged as the group leader with all six points, scoring two goals as well as keeping a clean sheet in each game. 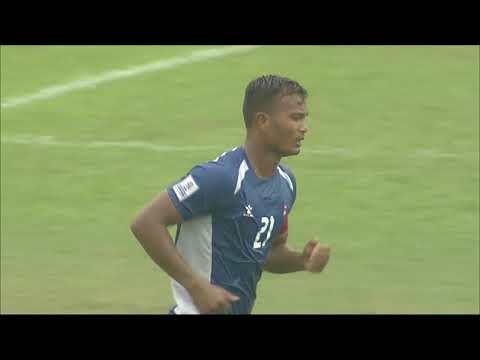 India's goals came from youngsters Nikhil Poojari, Manvir Singh, Ashique Kuruniyan and Lallianzuala Chhangte. Pakistan's journey to the semi-final, on the other hand, was in a topsy-turvy Group B. They won their first game against eventual Group B winners Nepal 2-1 in which Muhammad Ali and Hassan Bashir found the back of the net. They lost their second match against hosts Bangladesh 1-0, but were soon back on track scoring three and conceding none in their win against Bhutan in the final group game. This time too, forward Hassan Bashir featured on the score sheet. Pakistan finished the group stage with six points from nine but were placed second in the group because of an inferior goal difference to Nepal. Contrary to the traditional rivalry both teams enjoy in the cricket field, both teams' managers insisted that they would be approaching the semi-final as just another game. "I am very comfortable going into this game. India has a better ranking and they have been preparing this team for a long time. India's quality is very good, they are quick, organised and synchronised. We'll try to take advantage if they make any mistakes," said Pakistan Head Coach José Antonio Nogueira in the pre-match press conference before the semi-final. "We are aware of the contest. But that is nothing different. It's just another match. We can't let the occasion get over us and hopefully, we will beat them to advance to the final," said India Head Coach Stephen Constantine after the team's 2-0 victory against the Maldives. India have won five of their seven SAFF Suzuki Cup matches against Pakistan (D1 L1) including a 2-0 victory in the semi-final in September 1997, the only time they've met at that stage in the history of the competition.